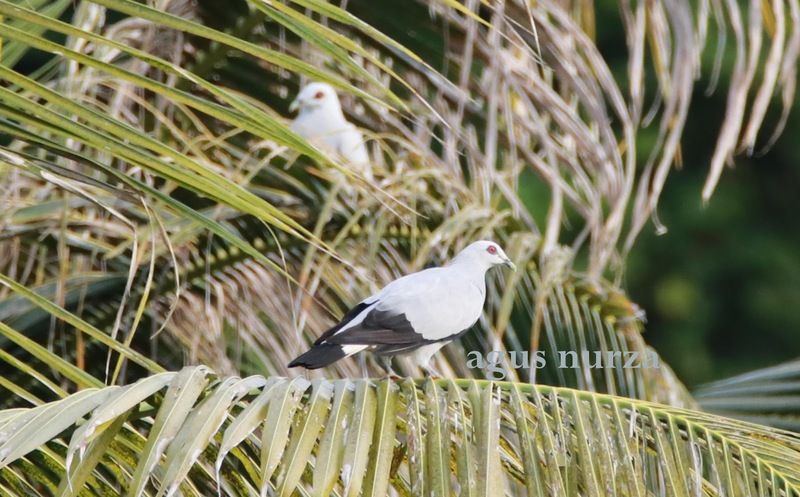 Birdwatching and discover one of Indonesia’s last frontiers: a remote and authentic tropical island of Northern Sumatra with beauty of birds and experience the magic of Simeulue bird. Simeulue is an island of Indonesia. Simeulue lies off the north-west coast of Sumatra, an idyllic and small tropical island located 150 kilometres off the west coast of Sumatra. Simeulue is a remote area of Indonesia within Aceh Province. Simeulue are similar to the people of neighboring Nias Island. The majority of the island's population is Muslim. Its capital is Sinabang. Simeulue is as one of the last frontiers of Indonesia and a paradise for surfers. Simeulue's landscape suffered a drastic change during the Boxing Day tsunami in 2004, raising West coast reefs 2 meters and destroying homes and infrastructure. Describes as forsted hills up to 576 m asl. The site includes two fresh-water lakes: Danau Laut Tawar and Danau Etutuk, both reported to be rich in fish and crocodiles. Simeulue is as one of the best birdwatching site in South-East Asia. Secondary Endemic Bird Area selected based on Simeulue Scops-Owl (Otus umbra) and Silvery Wood-Pigeon (Columba argentina) present in this area (Stattersfield et.al. 1998). 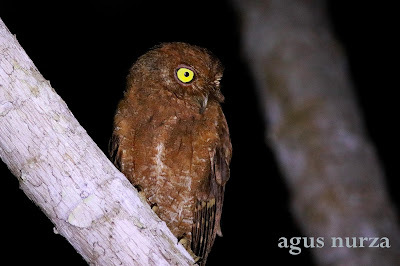 The important species in this area is Simeulue Scops-Owl and Simeulue Parrot the endemic species of Simeulue island. 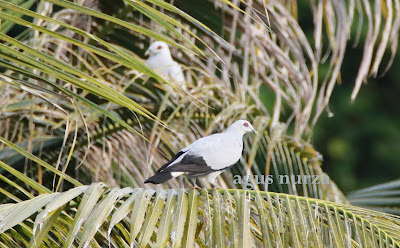 Silvery Pigeon is a smallisland specialist, known from islands off Sumatra, Indonesia (e.g. Simeulue, Mentawi Islands, Riau and Lingga archipelagos), and off the west coast of Sarawak, Malaysia and Kalimantan, Indonesia (e.g. the Karimata and Natuna Islands, including Burong). There is one confirmed record each from mainland Sumatra and Kalimantan. Formerly locally common, it may have declined through the impacts of introduced mammals, logging and hunting. However, none of these records completely eliminates the possibility of confusion with the very similar Pied Imperial Pigeon. The Simeulue parrot (Psittinus abbotti) is a species of parrot endemic to two small islands off Sumatra. It was once considered a subspecies of the blue-rumped parrot (Psittinus cyanurus). The Simeulue parrot is a small, short-tailed bird of stocky build, measuring approximately 19 cm. It has a bright green colouration, which in adult males is accented by a blue face with a green crown and a black collar. 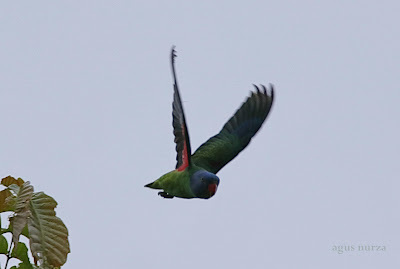 It differs from the blue-rumped parrot in its larger size, the lack of grey mantle and back, lack of blue rump, green instead of brown head colouration in the female, and blue head colouration in the male. Traveling to the islands off Sumatra is a continuous exploration discover. 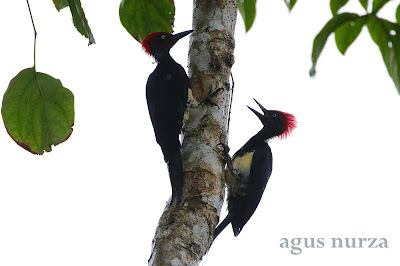 This area also as habitat sub-species like Crested Serpent-eagle, White-bellied Woodpecker, and Red-breasted Parakeet that knows only live between Simeulue. There are more then twenty sub-species in Simeulue like Black-naped Monarch, Oriental Paradise-flycatcher, Orange-bellied Flowerpecker, Red-breasted Parakeet, Scarlet-backed Flowerpecker, Ashy Drongo, Oriental Dollarbird, Stork-billed Kingfisher, Scarlet Minivet, Great Eared-nightjar, Pink-necked Green-pigeon, Western Koel, Crimson Sunbird, Green Imperial-pigeon, Maroon-bellied Sunbird, Pale-blue Monarch, Lesser Cuckooshrike, Black-naped Oriole, Common Hill Myna, Black-headed Bulbul, Slender-billed Crow, Changeable Hawk-eagle, Ruddy Cuckoo-dove, Thick-billed Green-pigeon, Pink-necked Green-pigeon, Bar-bellied Cuckooshrike, White-rumped Shama and others. Non-bird biodiversity: Reported the endemic snake species Calamaria modesta live in this area , and there is some of turtles species (Colijn 1999). Other important fauna is Crocodylus porosus, Chelonia mydas, Eretmochelys imbricata, Dermochelys coriaceae, Dugong dugon and Varanus salvator (Colijn 1999). 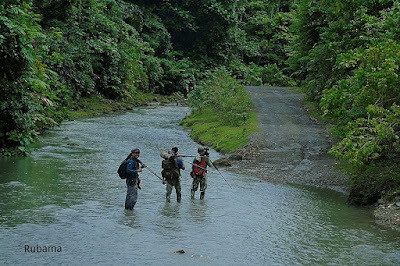 We offer 3 to 6 days Birding in Simeulue island; Covering Babi Island. Birding holiday combines with cultural sites, surfing trip, mammals watching and photography.